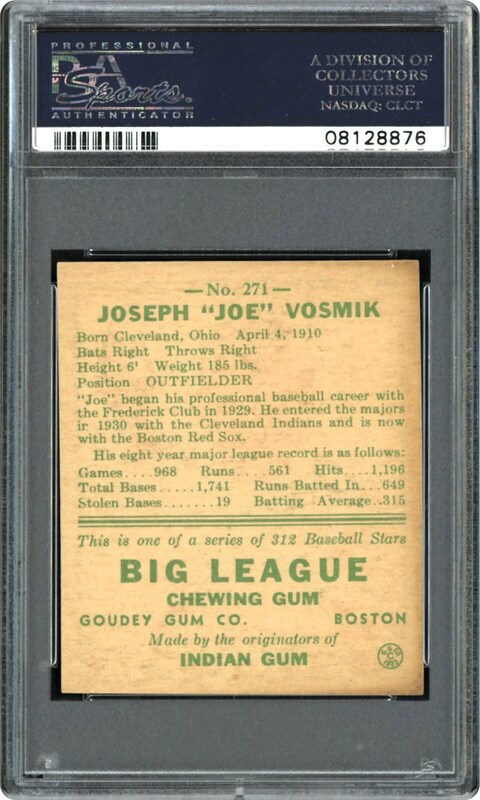 The popular Boston Red Sox outfielder Joe Vosmik is presented here in a stellar PSA NM/MT 8 holder; one of only eight specimens at this ultra-desirable plateau with a SINGLE example graded higher. 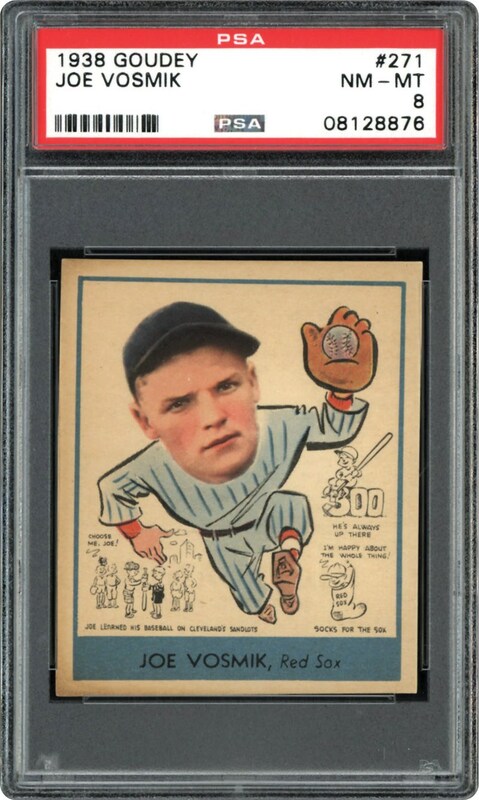 Highlighting this "time-defying" cardboard memento marvel is an imposing Vosmik running pose, glove in hand, with the entire well-centered image emulating a sparkling array of rich hues. The only noticeable imperfection is a modest "tilt' towards the lower right corner, a more than forgiving factory issued flaw that is rendered virtually negligible versus the otherwise breathtaking NM/MT aesthetics!